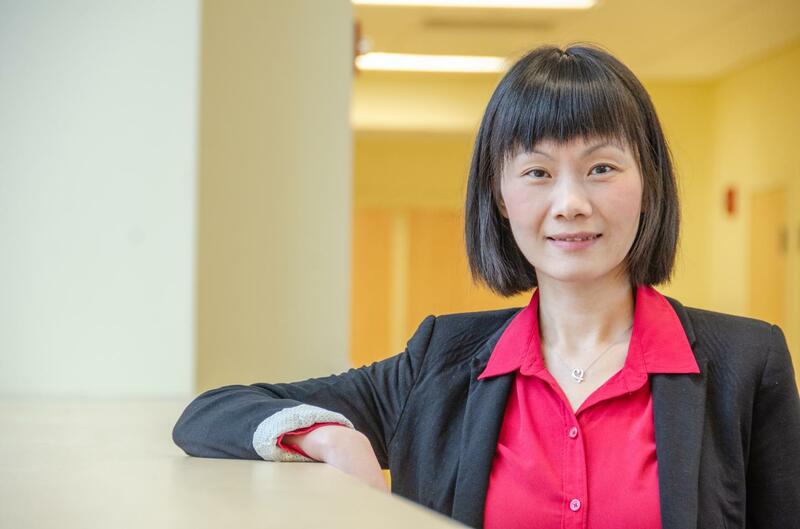 MORGANTOWN, W.Va.–Yanfang (Fanny) Ye, assistant professor of computer science and electrical engineering at West Virginia University, has been awarded a prestigious CAREER award from the National Science Foundation in support of her work to enhance the security of cyberspace. The award comes with $500,000 in funding over a five-year period. As the Internet becomes increasingly ubiquitous, it offers a low-risk harbor for cybercrime and illegal activities such as hacking and online scams. Cybercrime is increasingly enabled by an online underground ecosystem that is made up of anonymous forums and so-called dark web platforms that allow cybercriminals to exchange knowledge and trade illicit products and services. To achieve this goal, Ye will first design methods and develop algorithmic and scalable techniques to automate the analysis of online underground markets. She will then develop a novel framework for cross-market user identification and profiling resulting in the design of an innovative model for structural analysis of cybercriminal social networks to gain deep insights into the organization and operation of cybercriminals in the ecosystem. The broader impacts of this project include benefits to scientific communities and society as a whole by developing interventions into online crime to secure cyberspace for its users. The establishment of a cybersecurity lab through this project will enhance education and workforce training in cybersecurity. The project integrates research with education through curriculum development, the participation of underrepresented groups and student mentoring activities for WVU’s newly established cybersecurity degree program. Ye has extensive research and development experience in cybersecurity industry. Before joining WVU, she was the principal scientist in Comodo Security Solutions, Inc., a provider of computer software and SSL digital certificates in the U.S., and deputy director at Kingsoft Internet Security Corporation, the second biggest Internet security company in China. Ye proposed and developed cloud-based solutions for mining big data in the area of cybersecurity, especially for malware detection and adversarial machine learning. Her developed algorithms and systems have been incorporated into popular commercial cybersecurity products, including Comodo Internet Security and Kingsoft Antivirus that protect millions of users worldwide. She received the prestigious AICS 2019 Challenge Problem Winner, the ACM SIGKDD 2017 Best Paper and Best Student Paper awards (Applied Data Science Track), the IEEE EISIC 2017 Best Paper Award and the 2017 New Researcher of the Year Award from the Statler College of Engineering and Mineral Resources. Ye has brought in nearly $3 million in research funding from federal agencies in the past two years. The NSF’s Faculty Early Career Development, or CAREER, program supports junior faculty who exemplify the role of teacher-scholars through outstanding research, excellent education and the integration of education and research within the context of the mission of their organizations. This is the ninth straight year that a member of the Statler College faculty has been selected to receive this honor.